The Farr 56 Pilot House is the ideal yacht in the range for the long term cruising couple who plan to spend extended periods of time on board without the need for additional crew. It shares the light and airy pilothouse, large internal volume, cavernous deck storage, great machinery access and a palatial aft cabin, that have all become the signature of the Pilot house range. 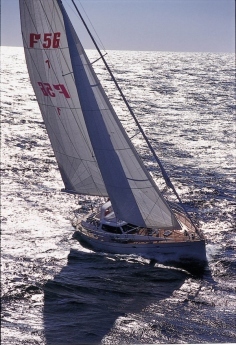 A modern yacht has to fulfil many functions from blasting along in the tradewinds, sailing around the bay in light winds to corporate entertaining or providing a safe platform for family holidays. The Farr 56 is at home and comfortable in all of these habitats.